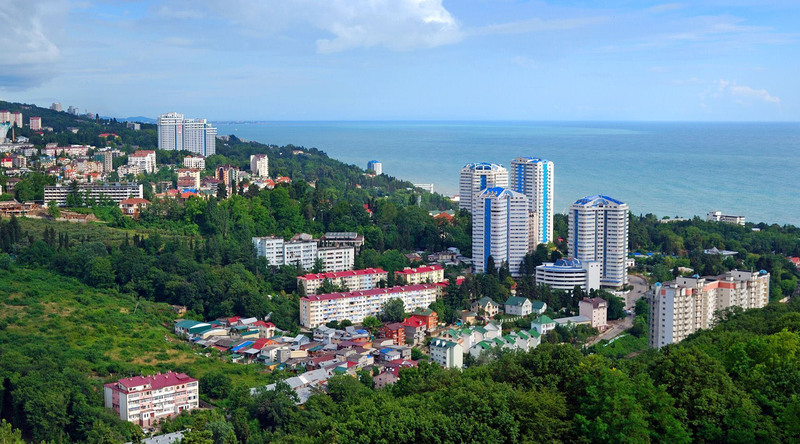 Sochi resides in that tiny portion of Russia that can boast a subtropical climate, making it a long time holiday heaven for domestic tourists – celebrities and the political elite included. During Soviet days, even Comrade Stalin had a dacha here, now open to visitors. Much has changed since then, but the fresh air, majestic mountain scenery, mineral springs, long beaches, warm sunny days, and bustling nightlife, are still a big draw. Ironically this city known for swaying palms and balmy breezes hosted the 2014 Winter Olympics. A botanical garden spanning 30 acres with a dazzling collection of subtropical flora, the Dendrary Botanical Garden is widely considered to be the most beautiful park on the Black Sea. It boasts panoramic views over the sea and the surrounding hills. To best appreciate the scenery, take a cable car up the mountain from the coast. Experience unspoiled nature on a hike through the beautifully forrested Alek Mountains to experience the Agura River meeting the Agurskoye Gorge, creating stunning waterfalls. Drive through the city and beautiful countryside for the best of Sochi. Visit the Zelyonaya Roscha Sanatorium, Stalin’s Dacha, and the top of the Bolshoi Akhun Mountain for a panoramic view of almost the whole Caucasian Riviera. After lunch at a fine hotel, explore the famed Sochi Dendrarium, a beautiful garden spanning 30 acres.